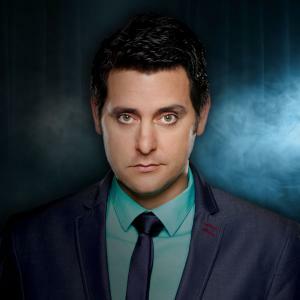 Ben Gleib is a standup comedian, actor, TV host and podcaster. He was named one of the “funniest comedians working today” by TBS and Esquire has called him one of “the next big things in comedy.” His hour standup special “Ben Gleib: Neurotic Gangster” premiered on Showtime and is now available on Amazon Prime. He was host, head writer, and executive producer of the hit, Emmy nominated brainteaser game show “Idiotest” on GSN, which just finished a four-season run of 210 episodes and is still airing. His news and politics podcast “Last Week On Earth” debuted on iTunes Comedy at #9 with guests ranging from entertainers Bryan Cranston, Moby, Aisha Tyler, Adam Devine, Kevin Smith, and Greg Proops to political figures such as General Wesley Clark, Eric Garcetti, Meghan McCain, Rep. Maxine Waters, strategist Hilary Rosen, Tomi Lahren, Cenk Uygur, and the late Senator Frank Lautenberg. He has co-anchored ABC News digital, has appeared on “The Young Turks” and FOX News, been a frequent on-air contributor for CNN, won a Golden Mic award for his work on KPCC (SoCal’s NPR affiliate) during his 7 years on “Patt Morrison’s Comedy Congress,” is a regular guest on “The Stephanie Miller Show.” Last year he hosted social impact news show ASPIREist for CNN’s Headline News (HLN). Gleib is the first comedian to ever live stream a full headline set on Facebook Live, and in 2016 did it in 8 straight cities, 100% improvised, garnering nearly 4 million views. He recently went viral with a video shutting down a pro-Trump heckler, then being threatened after the show by a Trump supporter, and refusing to back down. It received 1.3 million views. You can see his 2018 “Laugh It Off Tour” at comedy clubs all over the country. His website is gleib.com, @bengleib on social media.